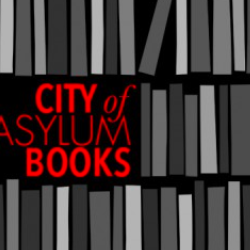 City of Asylum Pittsburgh‘s Jazz Poetry Concert is almost here! On September 10, Sampsonia Way, an alley in Pittsburgh’s Northside, will become the stage for the acclaimed open air concert. 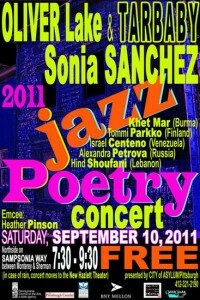 This is a unique opportunity to spend an evening with poet Sonia Sanchez, legendary musician Oliver Lake, the Tarbaby Trio, and some of the best writers from around the world. 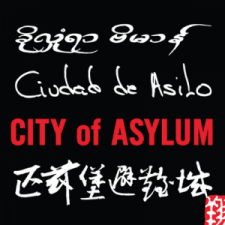 Can’t make it? No worries. No matter where you are, sit back with a glass of wine and watch on your laptop a concert where, as Pulitzer-Prize winning poet Yusef Komunyakaa said, “music and words can reach an unbelievable register of bittersweet truth that’s unforgettable.” Join the conversation on Twitter by sending your messages to #jazzpoetry. 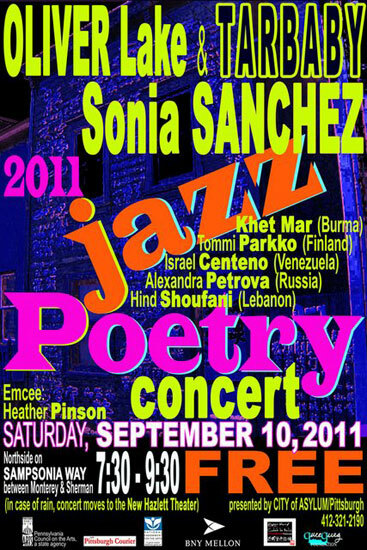 Jazz Poetry Concert will be streamed live on the web at http://www.livestream.com/jazzpoetryconcert and on this page. If you are not in Pittsburgh or are unable to come to Sampsonia Way, you can watch and listen from home.